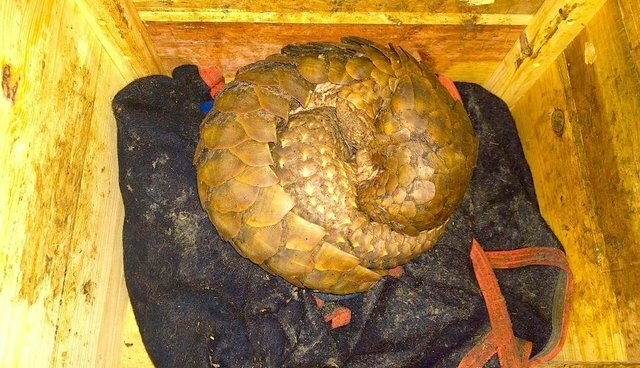 Three people are in custody, and a mother and baby pangolin are finally safe, after a two-week ordeal that could have drastically altered their lives forever. After a week-long search by investigators in Zambia, the mother and baby were found on Sunday, cowering together against their captors. Pangolins, scale-covered mammals who live off insects, are known to be "secretive and nocturnal and characteristically roll up into a ball when threatened," according to the David Shepherd Wildlife Foundation (DSWF). "From the poor condition of the mother and baby, it is thought that they had been in captivity for over two weeks," Vicky Flynn, a representative for the DSWF, told The Dodo. 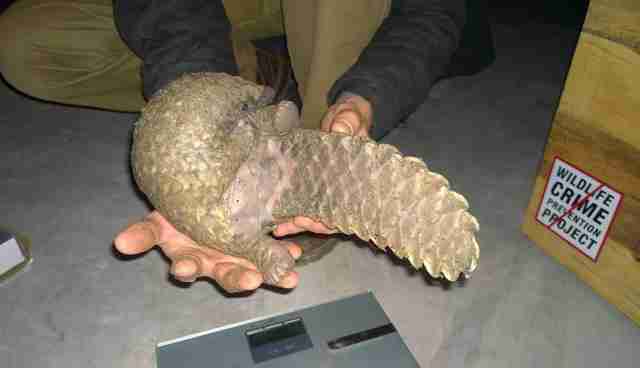 Pangolins are the most heavily trafficked wild mammal in the world, Flynn said. This is because of illegal hunting stemming from a high international demand for their meat and scales in Asian markets. The pangolin trade has reached epidemic proportions, according to DSWF. An estimated one million pangolins were traded illegally in the last decade, and demand keeps growing: Between 2011 and 2013, an estimated 116,990 to 233,980 pangolins were killed. 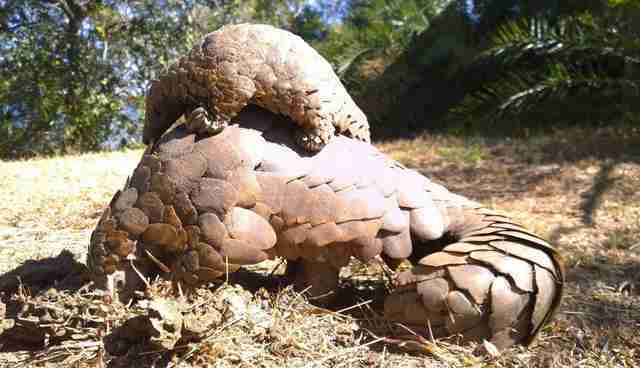 But the two pangolins discovered clinging to each other have been spared this cruel fate. While they are still very weak from their ordeal, the DSWF-supported GRI Wildlife Crime Prevention Project is helping the two animals recover. When they are healthy enough, they'll be released back into the wild expanse of Kafue National Park, the largest in Zambia. "They seem to be eating, which is a great sign," Annekim Geerdes, of the GRI Wildlife Vet Program, said in a statement. "They will be given a chance to rest and eat well again." When night falls, Annekim takes the rescued, nocturnal pair out for a walk. Under the cover of darkness, the mother and baby are learning to feel safe again. They enjoy a meal of insects together before going back inside for the night. "Once they are back to a good weight, they will be released into the National Park," Geerdes said. 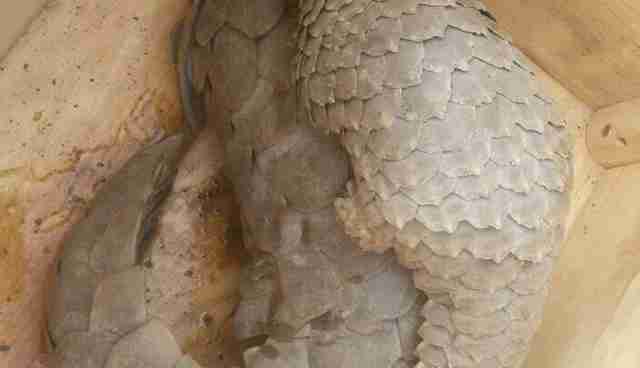 Learn how you can help rescued pangolins like this lucky pair here.